In conjunction with their sponsorship of The Weeknd’s North American “The Madness” Fall Tour, vaporization company PAX Labs will be launching a limited-edition PAX 2 vaporizer. 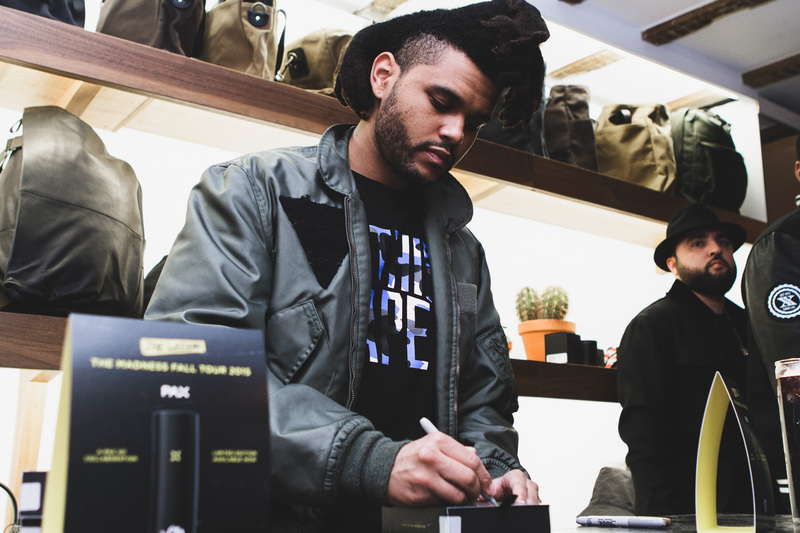 Retailing at US$324.99, the PAX 2 vaporizer features a black shell with The Weeknd’s autograph, custom programming with a yellow LED light, and certain “hidden features.” It will be sold alongside other concert merchandise at The Weeknd’s tour, which kicked off Nov 3rd in Toronto. You can also get yours online via PAXvapor.com.